2015 aims to be a year of returning the Thailand tourism industry to its former glory, as well as inaugurating a priority for quality in the near future, following the launch of a new global marketing campaign. The “2015 Discover Thainess” campaign that launched in January may attempt to boost inbound foreign visitor numbers to 28 million and expand revenues by 16 percent. The campaign might offer the chance for foreigners to appreciate Thai way of life, Thai culture and Thai experiences. Festivals featuring Thai traditions mainly take place in central Bangkok, which is considered to be the world’s most visited city, according to the Global Destinations Cities Index. The new tourism campaign kicked off last month with a schedule of parades through the city’s largest shopping districts located in Bangkok, lasting a total of five days. The parade was set up to offer various events that may be experienced throughout the year. Performers, musicians, acrobats and dancers were all wearing colourful costumes whilst parading down the streets, which enhanced the welcoming milieu for the Thai hospitality the country’s famous for. There are several fairs and festivals taking place in February every year all over Thailand, its most celebrated being Chinese Lunar New Year. 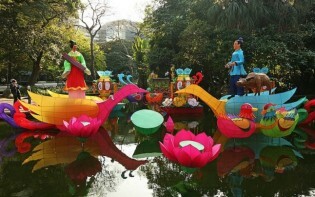 The Chiang Mai Flower Festival is usually held on the first week of the month with artistic displays of flower species only found in Chiang Mai and the parade in the public garden of Suan Buak Haad. 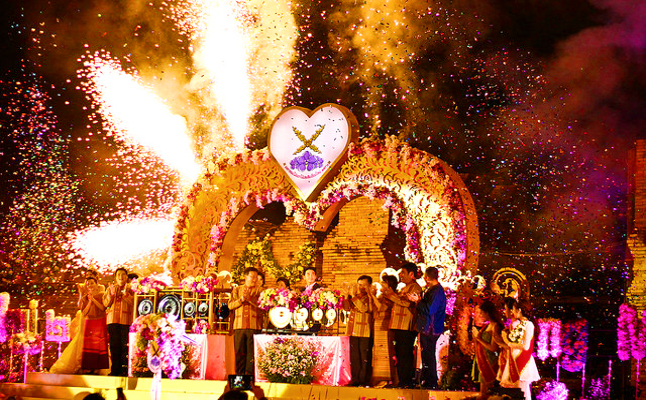 Trang’s Underwater Wedding on Valentine’s Day consists of brides and grooms parading through the streets in accordance with Thai tradition; in addition, the registration is underwater where the brides and grooms are obligated to be certified divers. For bike fans, the Pattaya Bike Week is a huge event that brings bikers together all across Thailand for various activities and shows. Music lovers may enjoy the Phuket International Blues Rock Festival on the 24th and 25th of February. Bangkok is spotted with intricately decorated Buddhist temples, each its own masterpiece of architecture during its time which survived for centuries. 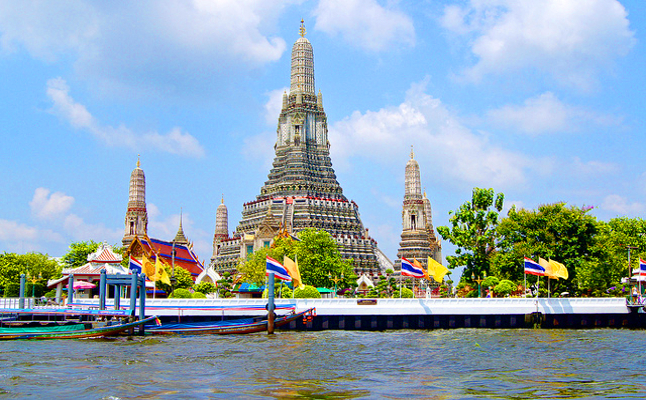 Situated in the centre of Bangkok’s Rattanakosin Island, the steeples of the Grand Palace are situated nearby Bangkok’s most famed temples, including the Temple of the Emerald Buddha (Wat Phra Kaeo), the Temple of Dawn (Wat Arun), and Wat Pho, which features an enormous reclining Buddha and the first Thai massage school in the kingdom. These distinctive destinations are a “must see” to all visitors, who wish to delve into Thailand’s unique cultural traditions. Bangkok earned the nickname “Venice of the East;” a cruise on the Chao Phraya, a trip to a floating market, or an expedition of the city’s “back alley” canals (khlongs) are unique Bangkok diversions. Other historical and cultural Bangkok sightseeing attractions include the National Museum, Vimanmek Mansion, and Suan Pakkad Palace, all of which either display fine art or are national treasures in their own right. Bangkok’s night life is renowned throughout the world where entertainment districts consist of bars, restaurants, clubs, and go-go bars. Rock climbers and adventurers may enjoy Chiang Mai, a mountainous region suitable for travellers wishing to trek through forests, visit waterfalls and discover the wildlife. 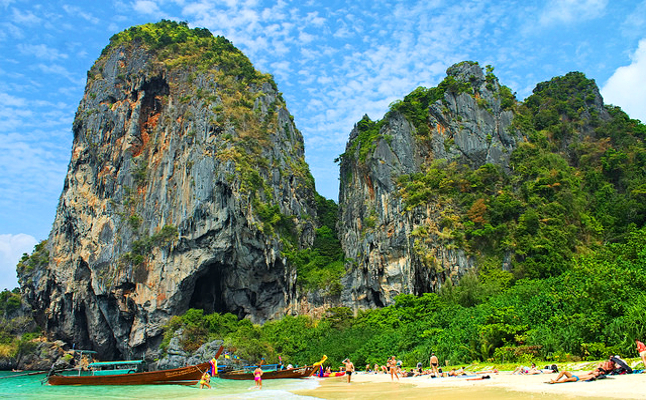 Limestone cliffs and rock formations in Krabi are also other destinations suitable for such activities as mountain climbing. Those who prefer to relax or go swimming might wish to visit Koh Samui, a tropical beach resort adorned by coconut trees where tours are held on the surrounding islands by day while the bars and clubs are popular by night. 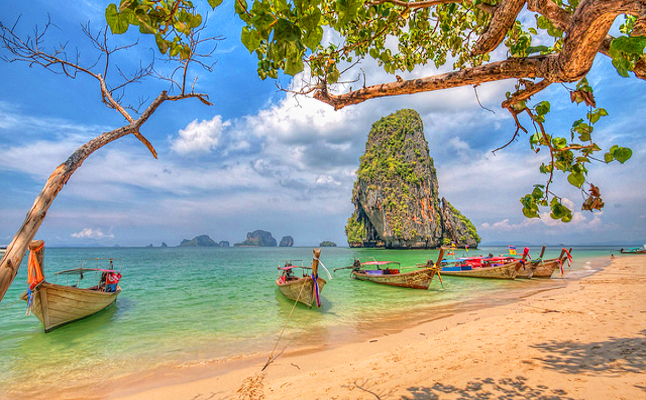 Phuket, also known as “Pearl of the Andaman” is one of the most popular beaches for tourists with several museums and aquariums displaying seashells and marine life taken directly from the waters around the island. The Ayutthaya historical park, declared a UNESCO World Heritage Site in 1991, has most of the remains of the traditional city of Ayutthaya; as those were the only buildings made of stone at that time. as those were the only buildings made of stone at that time. Thailand has many attractive qualities to bring forth international travellers to visit for an exploration session, from the friendly welcomes of Thai people, striking venues and accommodation, to the wide variety of spectacular destinations, both historical and contemporary. In what ways might a country’s environment encourage tourism?